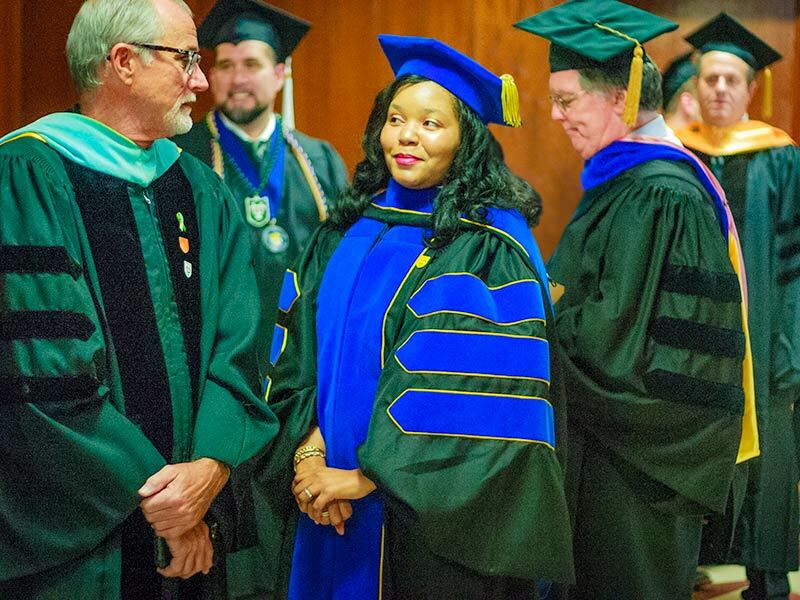 Commencement weekend is an important opportunity for faculty to celebrate academic accomplishments with graduates and your fellow faculty members. Tulane encourages faculty to participate in some of the university's most high-profile events including Wave Goodbye, the University Commencement Ceremony and all of the individual school ceremonies during the weekend. University Commencement is at 9 a.m. on Saturday, May 18, 2019. Faculty participating in the ceremony should arrive by 8 a.m. and proceed to the East Bunker Club Lounge. The easiest access to the bunker lounge is from the ground floor of Garage 1, which is the designated parking garage for faculty requesting parking permits. 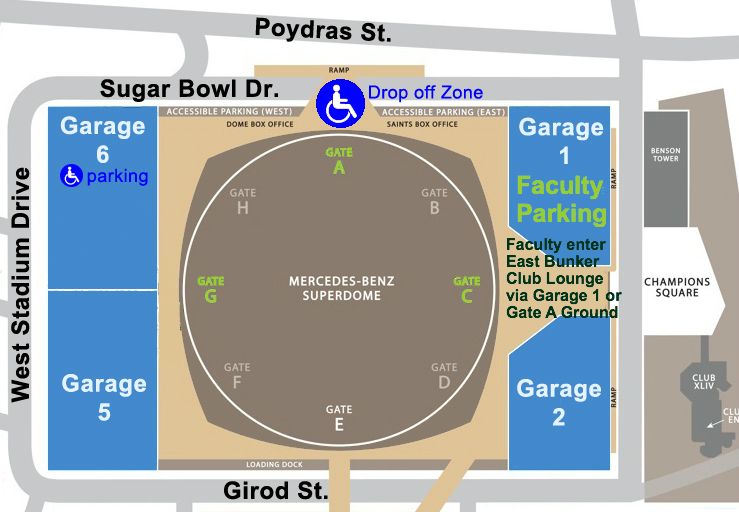 Faculty arriving by shuttle or taxi should enter through Gate A, ground level entrance at Poydras St. DO NOT ENTER THROUGH GATE G, as there is no direct or easy access to the bunker lounge. Robing is at 8:15 a.m. and the academic procession begins promptly at 9 a.m.
All faculty participating in Commencement are invited to Wave Goodbye on Friday, May 17, 6-8 p.m. in the Gibson Quad on the uptown campus. Participating faculty are allotted two tickets to the party. An online form for faculty requesting tickets and parking passes will be available on this website in May. Faculty participating in the academic procession must wear academic regalia. Faculty on the uptown campus who need to order regalia should visit the Tulane Bookstore on the first floor of the Lavin-Bernick Center or call 504-865-5913. Faculty on the downtown campus should visit the Health Sciences Bookstore or call 504-988-5204. Regalia pricing can be viewed here. Any regalia orders placed after Monday, April 15, 2019 will incur a $30.00 late fee.